It’s hot soup season! 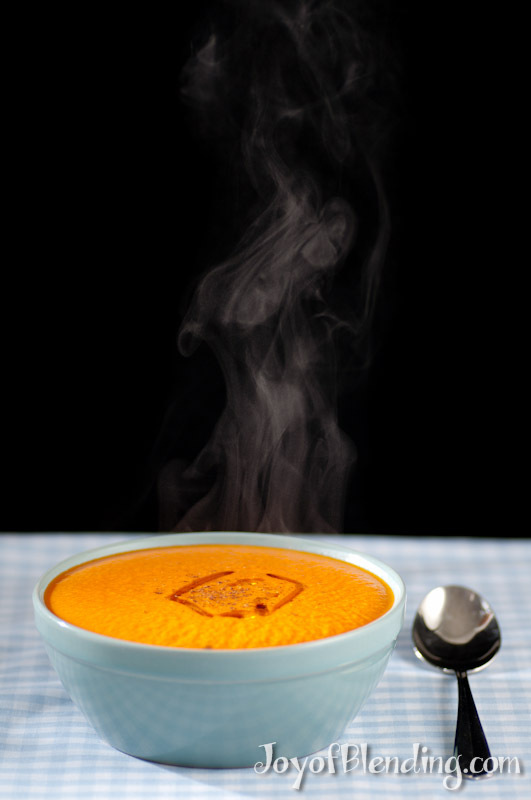 This tomato soup is simple and satisfying. The classic Vitamix tortilla soup, is blended until hot, but this recipe is instead cooked on the stove to develop different flavors. 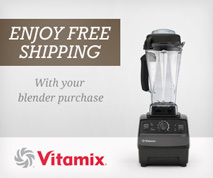 A Vitamix can heat soup, but it generally won’t cook vegetables. If you don’t cook onion before blending, you have to use only a tiny bit, because otherwise its flavor is much too strong. And a cooked onion can really improve a soup. This recipe uses canned tomato, which is great for late fall and winter when flavorful tomatoes are hard to find. Canned tomato is also already partially cooked, so it doesn’t need to spend too long on the stove. Chop onion and garlic—if you want to use your Vitamix for this, cut onion into quarters and remove skin, then drop into Vitamix while running it at speed 4. You can drop the garlic clove in as well. Heat a medium-large pot on medium-high, add the oil, then sauté the onion and garlic. After a few minutes, add the oregano and thyme. Once the onions start to turn translucent, add the tomatoes and water. Bring to a boil, then simmer for 5 minutes. Add cashews to blender then pour in soup from pot. Ramp the speed up slowly—in ~5 seconds—then blend at high until very smooth; ~60 seconds. Season to taste with salt and pepper. Garnish with extra-virgin olive oil and ground black pepper, or with a fresh herb of your choice. For a thicker soup, you can also add a slice of bread along with the tomatoes. This looks really good. I love tomato soup but don’t like it very creamy and cheesy. One question, if I use fresh tomatoes, any recommendations on how many in liue of can in your recipe. Thanks! For fresh tomatoes, I would try 2–3 lbs, and I might also skip the water. Then you would want to simmer it longer, probably about 20 minutes. Enjoy! Beautiful photo! For a variation on the olive-oil garnish idea, you could try pumpkin seed oil (delicious!) or truffle oil.